If you are like me, you want an impressive flight deck set-up like many of the ones we see here on MyCockpit ® . I feel as though these are the exception rather than the rule. Many of us just don’t have the space, time, resource availability, knowledge or monetary means to achieve what others have accomplished. By no means am I diminishing the amazing cockpits that so many have created. What I am saying, is that for the rest of us, we don’t have to kick ourselves because we can’t build a fully functioning cockpit in our home. I am also saying we can’t sit back and cry, “woe is me” for lacking some of the resources either. MyCockpit ® is an amazing and unparalleled resource for the do-it-yourselfer. Within the folders of this site you will find nugget after nugget of ideas just waiting to be discovered and transformed. That is a long intro I know; thank you for reading if you are still with me. My suggestion in this article is a simple and easy way to “Clean Up the Cockpit.” No I’m not talking about the layers of dust settling on the surfaces of the flight deck. I’m talking about the clutter of gadgets that amass all around us as we build our dreams. Recently I became irritated at my mouse. Not at the mouse itself, but at its' presence in my cockpit. What cockpit has a mouse I asked myself? It is always in the way, there is never enough room to move it easily and it’s just plain unsightly. I have eliminated the keyboard with various controller inputs, why can’t I do the same with the mouse? So many of the controls in the various panels I use are not able to be assigned to a key command or joystick button, so the mouse will always be an integral part of the cockpit. That doesn’t mean it has to “look” like a mouse….right? Enter the solution…the Touchpad Mouse. 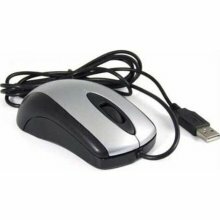 I don’t know why I didn’t think of it before, but it’s the perfect solution to the typical scroll mouse. It came to me as I was conducting some research online and I was using the touch pad mouse on my laptop. I thought, “wouldn’t it be cool if I could take this pad out of my laptop and use it on the desktop. So then my research switched to my new revelation. I do not wish to support any particular brand in this article, only the idea. Suffice it to say there are several options available in a range of price options. I will say, shop around! You will find the same product on multiple sites for a variety of prices. It’s up to you to decide which touchpad mouse fits your cockpit best. There are even USB keyboards with a touchpad mouse built right into the keyboard. Now there is no more mouse pad, no more restricted movement, no more clutter. You can navigate your panels with a single finger and bring your dream closer to reality and look stylish at the same time. I know what you mean about the mouse. Another solution and one I use, is to employ a wireless mouse and using Velcro strips attach it to my knee. It is easy to use but is out of the way. I'm using a wireless keyboard with a touchpad. And if I don't need it, I storage it in the sidewall. I've made a small door and a room behind it so that I can get it out easyly and also store it nice. I think it's the perfect solution for this problem.